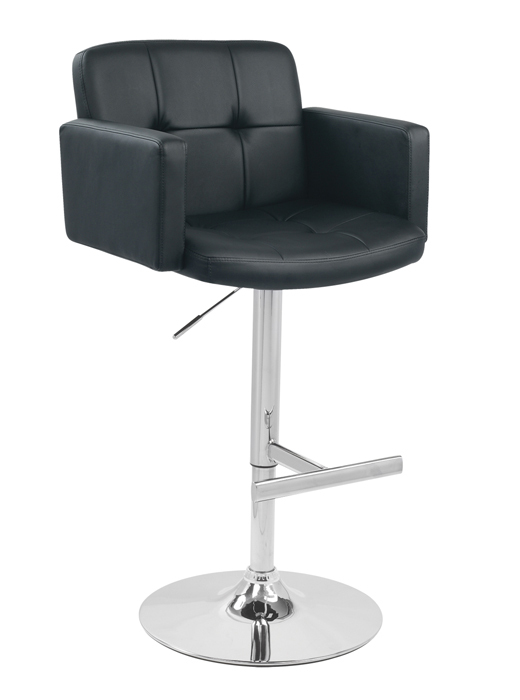 Stout Bar Stool Product Size: 23” L x 24” W x 45” H (in.) (max) Seat adjusts: 24” to 32” H (in.) Product Weight: 48 lbs. More Information The Stout was designed with comfort in mind. The Stout was designed with comfort in mind. 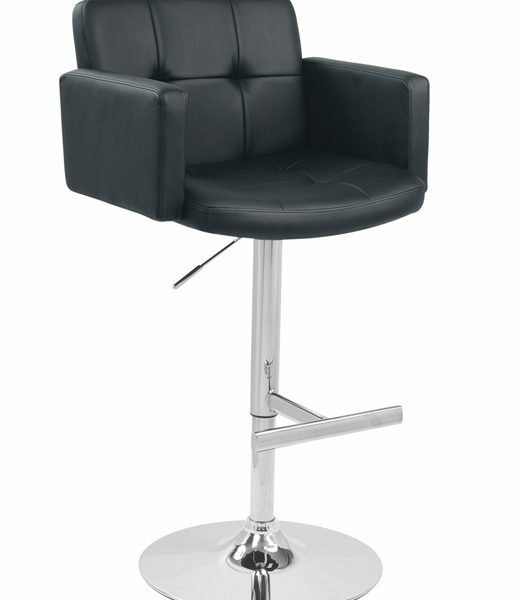 The padded seat combined with the high back and armrest makes this stool great for relaxing. Supported by a polished chrome base and pole. Hydraulic pole adjusts from 25-32 inches. Product Size: 23” L x 24” W x 45” H (in.) (max) Seat adjusts: 24” to 32” H (in.) Product Weight: 48 lbs.